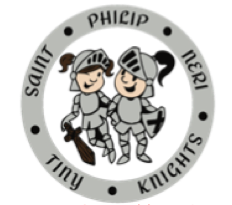 Welcome to Saint Philip Neri Parish School's Transitional Kindergarten! TK is an opportunity to give your child a gift of an additional academic year for those students who need a little more time for maturing, building confidence in social situations, or for those who need to acquire academic skills. Our goal is to teach the whole child: mind, body, and spirit. We cover the areas of spiritual, social, academic, and physical growth.